The Unopened Gifts of Christmas • Run Hard. Rest Well. It is a rare thing for a wrapped Christmas gift to remain unopened for very long. Yet, Christmas after Christmas, untold gifts from Heaven remain unclaimed and unopened. Would you like to claim your Christmas treasure this year? The directions are simple. Over the next 12 days, revisit the Christmas story, one word at time – one, precious, powerful word at a time. Release your imagination and your emotions and you will meet Jesus, alive and well, under the tree and in your heart. A copy of the “12 Words for Christmas” (below) to insert into the blanks of these 3 questions, one word for each day. *What has _________ looked like or felt like for you this past year? *What does ________ mean to you this Christmas? *THEN, in whatever manner stirs your heart – visit this word. Make it your own. Ponder and pray your way through the thoughts, images, insights and emotions it evokes. Some may journal. Others may draw, list or doodle. Some may ponder, grab their camera or their Bible. 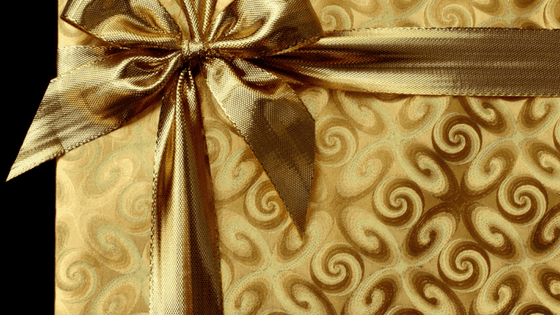 There is no “right way” to unwrap these gifts, but there is only one way to make it happen – Take Five and DO it. 5 quiet minutes, maybe an occasional 10. 12 Days. 12 Words. 12 Gifts. Give God a few quiet moments each day and He will give us His heart, and so much more. We have a board meeting on Thursday evening and printed off a copy of this to consider for our own use and as a possibility or next year. Could you send a copy as an attachment so I can print off in final form if you are willing to consider us using this for Christmas in the Park 2017? Nothing like getting started early! Should find out at meeting how many copies were left from this year so you can decide if you would like those to distribute elsewhere. Great minds think alike. I was thinking this could be a great Christmas in the Park devo, too! I will send it your way, Judi! I have gotten stuck on “longing”, but “expectations” fits as well. First, I want to thank you for this, but secondly, ouch. All my life it seems I have experienced longing. I have had expectations of what Christmas should look like. What a happy home should look like. What family should look like. So as I think about longing each day (I told you I got stuck there) I thought of what I really long for….a car, a home, a visit, a present…no, those things are nice, but they don’t last. Stuff….I have all I need. I don’t need stuff. So what do I long for? What does it look like? What has it looked like in years gone by? Well, to be honest, it has never looked good, right, happy. I should clarify. When I was married, my husband’s family knew how to celebrate Christmas. It was love and Jesus and more love. I don’t long for the good old days. What I long for is Jesus. More of Him. Time with Him. Everyone and everything else placed on the back burner. That’s not what I expect. I expect the same old, same old. But a day will come, and Jesus will be all I see. I’ll get my heart’s desire. But, guess what? My heart’s desire will be multiplied beyond my deepest desires. I live in expectancy for that day to come. Maybe I can live in expectancy now. What great joy!! !